Updated 3/15/19 – Independent Building Corp. is pleased to announce the final portion of lots in Harris Pond Village are now available and ready for your dream home. 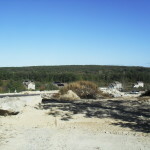 The final portion of lots features some of the best views in the development. 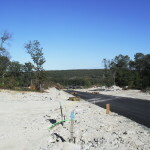 Check out the images below to catch a glimpse of the scenic views Glenside Drive has to offer. Lot 88 – Glenside Drive – 21,919 Square Feet – Another lot sporting spectacular views, perfect for a farmers porch. House will be placed closer to left lot line to accommodate possible walkout on the right. Back of property abuts open space offering good privacy. Lot 82 – Glenside Drive – 25,000 Square Feet – Garage front left, possible walkout in the back. More information upon request. 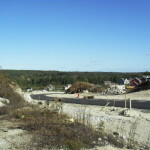 Lot 41 – Glenside Drive – 26,660 Square Feet – Enjoy the great views of this lot by adding a farmers porch to your home. The beautiful private backyard that gently slopes up into the wood-line. Garage front right, possible walkout rear left. Lot 43 – Glenside Drive – 26,584 Square Feet – Picturesque views perfect for farmers porch. Garage front right, with possible walkout left, still a little bit of clearing to be completed among back of the property. Lot 44 – Glenside Drive – 26,601 Square Feet – Generally flat lot that slopes gently from left to right, treeline offers great privacy on the right/back of the property. The garage will be front right, with possible walkout on the left. House will sit close to right side of the property line to accommodate possible walkout. Lot 45 – Glenside Drive – 25,516 Square Feet – Beautiful flat private lot, secluded from neighboring homes with treeline encapsulating the property. The garage will be front right and a possible half wall on the left. Lot 47 – Glenside Drive – 35,566 Square Feet – Garage front left, possible half wall back. More information coming soon. Lot 48 – Glenside Drive – 40,736 Square Feet – Garage front left, longer driveway. More information coming soon. Lot 49 – Glenside Drive – 31,812 Square Feet – Garage left side, longer driveway, possible walkout right and half-wall. More information coming soon. Lot 1 – Meadow Lane – 22,001 Square Feet – The Highest lot on Meadow Lane, great views to the left and right. Garage on the right side from Meadow Lane. Possible walkout on the left, house to face intersection. Lot 91 – Glenside Drive – Garage front right, 1/2 wall left, possible walkout left. More information coming soon. Lot 92 – Willow Brook Lane – 31,765 Square Feet – Garage front left, possible walkout right. 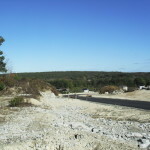 Lot 93 – Willow Brook Lane – 34,078 Square feet – Larger than average lot with very nice views to the left. Nice short driveway entering into a garage front left-hand side. Possible walk out on the right with possible ½ walkout in the back. Lot 94 – Willow Brook Lane – 33,056 Square feet – Larger lot with nice privacy, the house will be tucked into the right side of the lot. Garage on the left from the front. 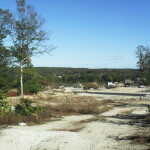 Great Treed lot with very nice views. Possible walkout right. Lot 96 – Willow Brook Lane – 30,179 Square feet – Another Private Lot located off the road and high up overlooking Willow Brook Lane with long views. Garage right side, flat side and backyard. 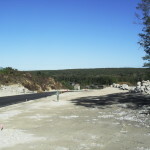 Lot 97 – Very high lot, one of the highest in the subdivision, great long views, garage left, side only, no walk out, pretty flat lot. Lot 86 – Glenside Drive – 21,916 Square Feet – Amazing views that would pair perfectly with a farmers porch, back of property abuts open space. Nice usable flat back with stones features. Garage front left, possible half wall right.